Naturally gluten free pasta shells made from sun ripened corn and a combination of vegetables for a nutritious and versatile alternative to wheat pasta. The Orgran Corn & Vegetable Pasta Shells - 250g product ethics are indicated below. To learn more about these product ethics and to see related products, follow the links below. Nice,. Not a massive pack. Is what you expect from pasta. A winner with our little boy! 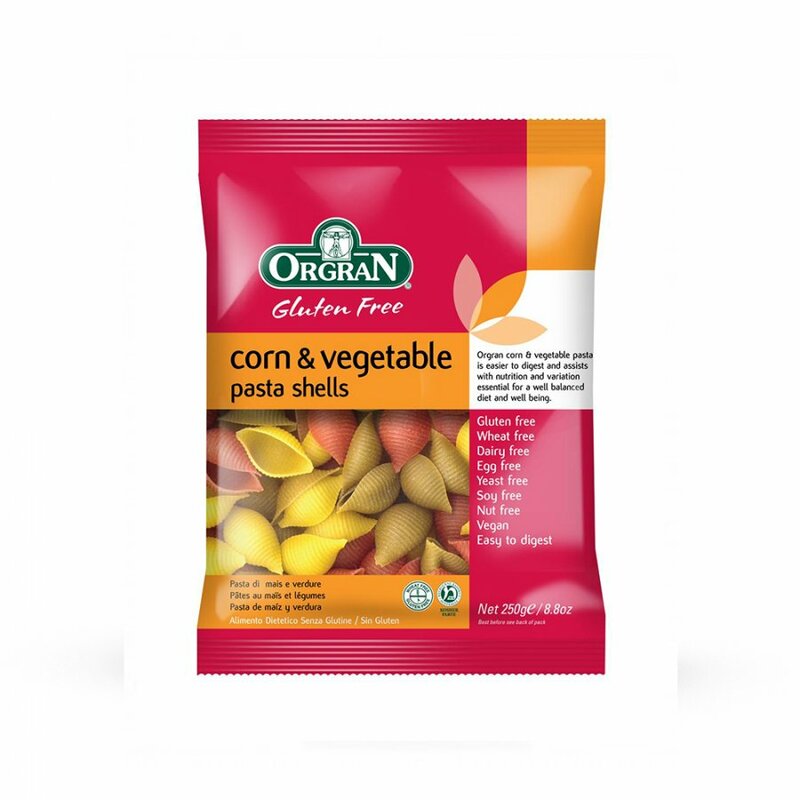 There are currently no questions to display about Orgran Corn & Vegetable Pasta Shells - 250g. Orgran is a leading brand totally focused on health and nutrition. It was founded from sound philosophy to assist people improve their health and provide nutritional alternatives for those with special dietary requirements. For people on special diets, Orgran is an easy and convenient choice without having to read complex ingredients listings. All products are Gluten Free, Wheat Free, Dairy Free, Egg free, Yeast Free, GMO Free and Vegan. Orgran is the pioneer producer and trusted name of natural food products in over 50 countries worldwide. The Orgran premises is one of the few plants in the world strictly dedicated to gluten free production.